Who wouldn't like to live in a tastefully arranged interior? It is often the details and small nuances that pull the room together, so don't forget to select the right decorations and accessories to add style and elegance to your space. Even a small change can make a huge difference to the overall look of your home. This can be achieved, for example, by way of decorative stickers. 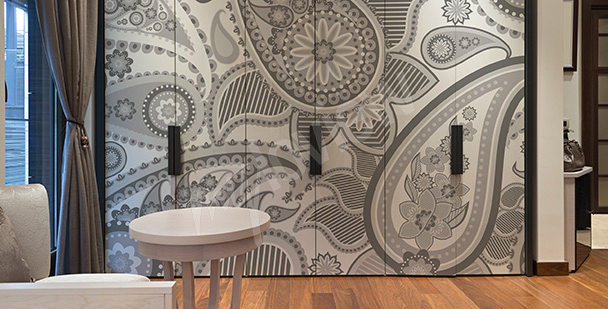 They offer limitless possibilities as the range includes stickers for the kitchen, children's room as well as decorative stickers for furniture. Thanks to them, even a seemingly ordinary space can gain a unique atmosphere! Are you looking for ways to add style to your lackluster living room walls? 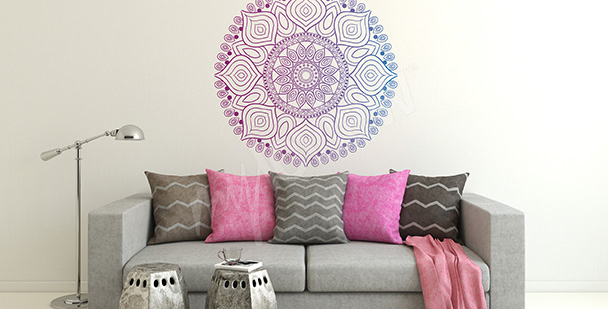 A mandala sticker will instantly freshen up the look of your living space. This extremely tasteful and elegant design can change the appearance of any wall, making it a real feast for the eyes! Stickers do not have to be applied to a whole wall or closet. Choose an element most in need of freshening up and decorate it with a sticker. 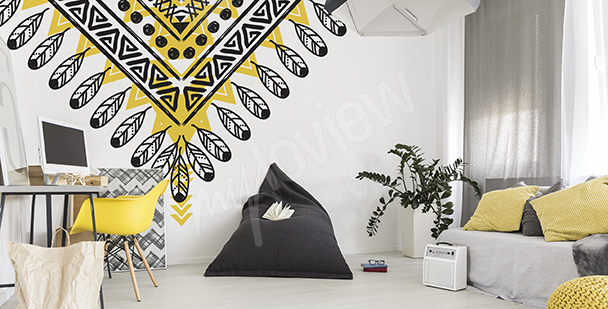 The Aztec pattern brings energy into a teenager's room and creates a carefree, holiday atmosphere all year round. 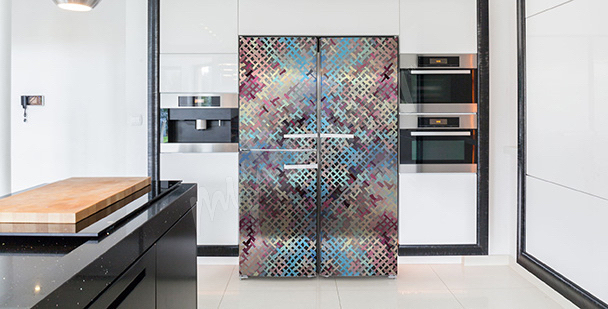 How to introduce a touch of oriental style to your kitchen? The answer is simple! Apply stickers to your kitchen cabinets and enjoy the fresh, new look of your space! 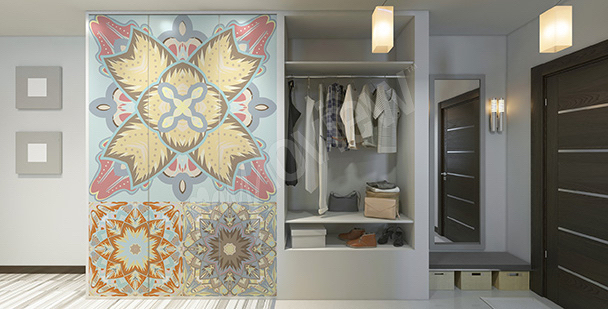 The Arabic pattern applied to a hallway closet draws the attention of your guests from the moment they walk through the door. This Oriental-inspired pattern is a timeless decoration that can be placed on a wall, door or closet, depending on your needs. Sometimes just a small change in the form of a sticker applied to a cabinet or tabletop is all it takes to give your room a new lease of life. 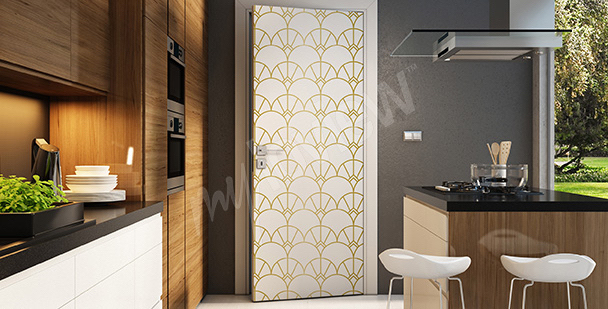 If your old door does not suit your new kitchen, simply decorate it with a sticker featuring a suitable motif. If you want to change the look of your fridge or hide minor scratches, use one of our stickers. Large white pieces of furniture can give your interior a cold feel. To give it a warmer look, use a sticker with an inspirational design. 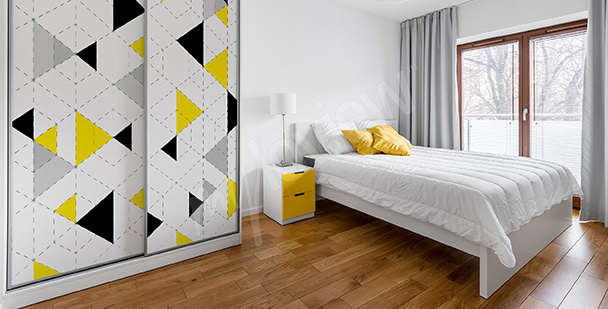 Yellow and black triangles give the interior a modern feel and change the look of a dull, unloved closet beyond recognition. Where can decorative stickers be used? 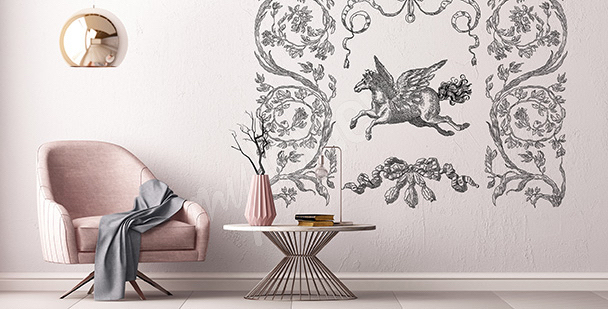 Wall decor stickers are a great solution that is not only relatively cheap, but can also completely revamp your home. There are decorative stickers available on the market that are intended for various surfaces. They are perfect for the kitchen, children's room, living room or bedroom. The choice of designs is vast, offering something for everyone. Decorative stickers for the children's room work best with a motif of fairy-tale characters, colorful animals or comic heroes. Your child will have great fun choosing a suitable design for their wall. 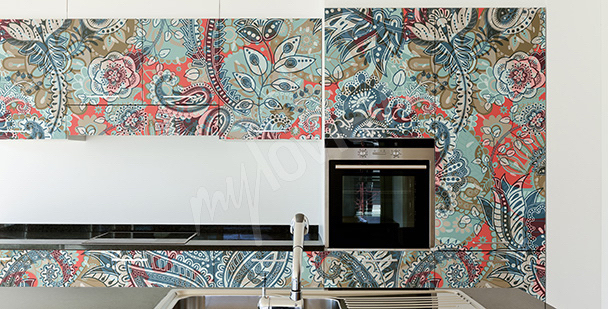 Stickers for the kitchen look best featuring motifs such as fruit, herbs or your favorite dishes. The choice of design should only depend on your imagination and personality, as these decorations offer great compositional possibilities and can completely change the look of an interior. One of the most popular themes used in the kitchen is a cup of coffee. Such stickers are perfect for traditional as well as modern dining rooms. They can really add interest to your kitchen! Decorations inspired by folklore, traditional kitchen motifs and other, bolder ideas are all worth considering. Which theme do you like the most? 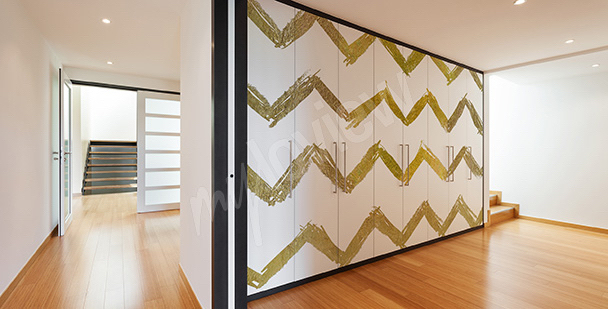 Decorative stickers for furniture can be used to decorate closet doors and other smooth surfaces. In this simple way, you can give your old and tired-looking furniture a new lease of life. What's important is that this solution is very affordable! Stickers were created for all those who are looking for original, but also inexpensive ways to decorate walls, furniture, mirrors or other flat surfaces. Decorative stickers can be used in a variety of configurations and decorative solutions. Your creativity is the limit! Stickers are bound to appeal to creative children. The sticky motifs introduce a warm and friendly atmosphere to their room, turning it into their favorite place. Boys will love decorations with the motifs of planes or dinosaurs, while stickers with elves, flowers or butterflies are bound to appeal to any little girl. Involve the whole family in creating a unique arrangement and decorate the children's room together! It is bound to provide a lot of fun for both children and adults. Decorative stickers for furniture are a simple way of introducing subtle changes to any interior. You can choose from various designs: flowers, animals, architecture, abstract art, 3D motifs, quotes or landscapes. The wide choice of shapes and sizes makes them suitable for both large furniture and home appliances. In fact, they can be applied to any surface: painted wall or tiles. It is their universal application that makes them so popular. Decorative stickers are also a great idea for covering any defects, flaws or stains. 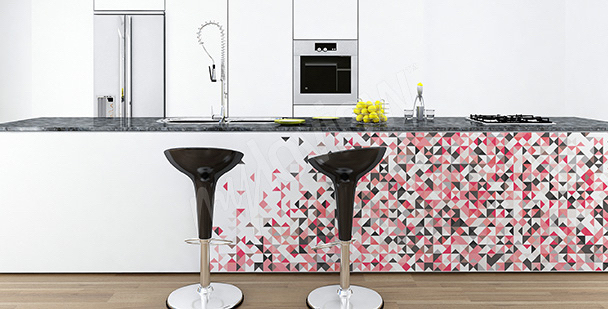 Apply a sticker and give a scratched worktop a new lease of life in minutes! In addition, thanks to the affordability of stickers, you can change the decorative design from time to time. Stickers can cover up imperfections, but also decorate and revamp the look of any interior. The only limit is your imagination! The market offers an extensive selection of different patterns and motifs, making it easy to find the perfect match. 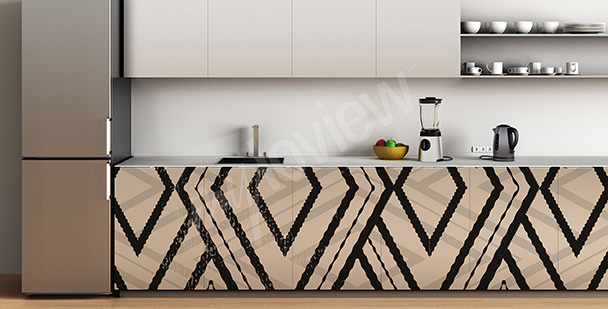 Decorative stickers can be used to improve the look of furniture and appliances. There’s no surprise that they are a true hit in the world of interior decorating. They’re the topic of blog posts, decorating magazines articles and interior arrangement TV shows.